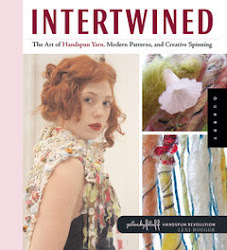 new felt silver rings, originally uploaded by wooldancer. i'll do my best to work forward, & with past moments becoming fragmented memories, the timeline may not be accurate.. this venture began during autumn, a few months ago. Forever intrigued with the ring as adornment of the highest order, i am revisiting making them. Without facility to make bands in silver, my efforts are on the funky focal. 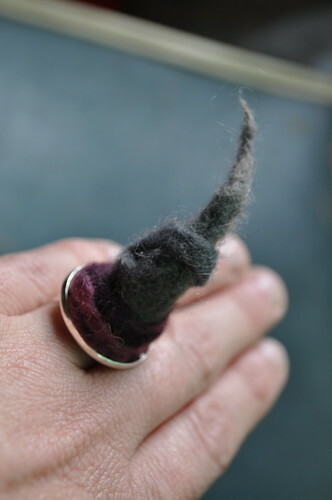 Nothing says " i love fibre" more than a fabulous felt ring! -felt on silver plate rings available by request, and at Very Fashion, Katoomba. Love your ring, very special! Thank you Riet ;) it receives a few fun comments when i wear it out & about! Something different. I like that!